Schizophrenia and subvocal speech: Why people with schizophrenia hear the voices of God, spies and supernatural entities. Unlike most people, they just can’t tell it’s themselves. Whenever a person hears her own voice, an unconscious recognition circuit lights up in the brain. Schizophrenic patients are believed to have a defect in this circuit. Excerpted from NeuroLogic: The Brain’s Hidden Rationale Behind Our Irrational Behavior by Eliezer Sternberg, M.D. Out now from Pantheon. My first encounter with a schizophrenic patient was as a medical student in my third week of a neurology rotation. The attending neurologist and I were called to consult on a psychiatric inpatient who had just had a seizure. “Have you taken psychiatry yet?” the doctor asked. I hadn’t. The neurologist insisted that it would be a valuable educational experience for me to see the patient on my own, listen to his story and medical history, and report back. So I headed alone to the psych ward, through the two sets of remote-activated metal doors, and into Room 621, where I met Brandon, a paranoid schizophrenic who suffered from frequent auditory hallucinations. At 28 years old, Brandon was a graduate of Cornell University with a degree in history but had been unemployed for years afterward. He had a fresh-looking, boyish face and floppy brown hair, a look that conflicted with the disturbing history I had read in his chart. When first hospitalized three weeks earlier, Brandon repeatedly chased down staff members and yanked their earlobes. He said he was trying to “shake out their spy recorders.” In the short time he had been on the ward, he threatened to attack his nurse twice, once with a pen and once with a pair of tweezers, claiming that she was an FBI agent sent to do the work of Satan. Before his seizure that morning, he had been ranting that the nursing staff was “making him crazy” and that they were “putting the angry thoughts in his head” to make him look bad. After getting the information I needed about his seizure, I asked Brandon about his hallucinations. “Usually I hear him when I’m alone,” he said. “Who do you hear?” I asked. This seemed like a good time to end the interview, but still my mind was flooded with questions. Why does Brandon hear a voice in his head? Where does it come from? Why does it say what it says? Imagine you are standing in the lobby of an unfamiliar building, various unmarked corridors and elevator banks swimming all around you, and you scratch your head as you attempt to understand the directions in your hand that are supposed to lead you to the main conference room: “Proceed down the second hallway to the left, go through the double doors, and take Elevator C to the fifth floor, Suite 511.” As you ponder which hallway is “second to the left,” and even begin to question the integrity of your navigational skills, you feel a tap on your shoulder. “Elevator C is down that way.” A friendly passer-by points you in the right direction. Apparently you were thinking so intently about the directions that you began mumbling them out loud. You intended for this mental dialogue to remain only in your mind, and yet you ended up broadcasting your thoughts to a complete stranger. This phenomenon is called subvocal speech, and it happens all the time. Our brains process all language, even the private language in our minds, using its distinct linguistic regions and vast neural pathways that transmit instructions to the muscles of speech. Our thoughts turn into subvocal speech when that mechanism goes as far as to rouse those muscles to contract, even though that stimulation is usually too weak to generate a voice that anyone could actually hear. The psychiatrist Louis Gould wanted to know whether auditory hallucinations in schizophrenia have anything to do with the phenomenon of subvocal speech. Are the experiences that schizophrenics describe as having “voices in their heads” merely the unintentional mutterings of the speech muscles? If so, why would schizophrenics happen to notice their subvocal speech while healthy people do not? Gould designed an experiment using a technique called electromyography, or EMG, which measures muscle activation through time. He gathered a group of schizophrenic and healthy patients and, one by one, recorded their vocal muscle activity. When Gould compared the EMG recordings of schizophrenic patients as they experienced auditory hallucinations to those of nonhallucinating patients, he found that, when the patients were hearing voices, their EMG recordings showed greater vocal muscle activation. This result meant that when the schizophrenics were hearing voices in their heads, their vocal muscles were contracting—they were engaging in subvocal speech. Subvocal speech is an activation of the vocal muscles even though no voice is heard. But why isn’t it heard? Is no voice produced at all or is the voice just very, very quiet? If no voice at all were produced, then subvocal speech couldn’t be the source of the hallucinated voice. But what if subvocal speech was just very quiet, and nobody but the patient could hear it? Could it help explain why schizophrenics hear voices? Whisper: She knows I’m here. What are you going to do? She’s a voice I know. I don’t see where she goes. I know she is a wise woman. She doesn’t know what I want. She’s wise all right. People will think she is someone else. Lisa: I’m hearing the voices again. Whisper: She knows. She’s the most wicked thing in the whole wide world. The only voice I hear is hers. She knows everything. She knows all about aviation. Lisa: I heard them say I have a knowledge of aviation. Gould was taken aback. Whenever Lisa reported hearing the voice in her head, he heard whispers emanating from the microphone. What’s more, when asked about what the voice told her, Lisa’s description matched the content of the amplified speech word for word. The voice in Lisa’s head spoke at the same time, and said the same things, as the subvocal speech she herself generated. Whisper: If you’re in his mind, you come out of there, but if you’re not in his mind you won’t come out of there. You want to stay there. Examiner: Are you talking to yourself? Roy: No I don’t. [To himself:] What is it? Whisper: Mind your own business darling, I don’t want him to know what I was doing. Roy: See that, I spoke to her to ask what she was doing and she said mind your own business. Yet again, the timing and content of the hallucination matched the patient’s subvocal speech, words that were articulated using his own mind, lungs, and muscles. Despite how frighteningly real the “voice in his head” seemed to Roy, Miss Jones did not exist. Apparently, the voice he was hearing all along was his own. But why doesn’t he know that? We mumble under our breath all the time. Usually, we don’t notice it, but even if we do, we still recognize that it’s our own voice we are hearing, not that of some shady figure trespassing into our minds. So, what is it about schizophrenic patients that renders them helpless to recognize that they themselves are the ones talking? 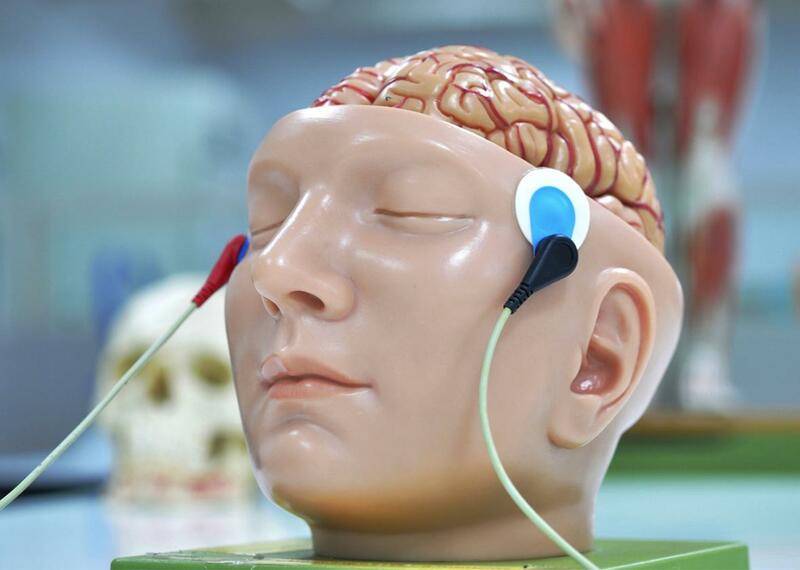 Whenever a person hears her own voice, an unconscious recognition circuit lights up in the brain. It works by comparing the sound she hears with the expected sound of her voice, a prediction honed through years of experience with conversation. If the actual voice matches the prediction, the brain concludes that the voice was self-generated. Alternatively, if the heard voice doesn’t match the prediction, the brain concludes that someone else is speaking. Schizophrenic patients like Brandon are believed to have a defect in this circuit. When Brandon hears his own voice, the unconscious matching system incorrectly identifies a mismatch (false negative) and prevents him from consciously recognizing that it is his own speech that he’s experiencing. His brain is left to reconcile two seemly contradictory pieces of information: on the one hand he hears a voice that isn’t his own. On the other hand, there’s nobody else in the room. So, whose voice is it? The brain tries to generate the most logical explanation it can. Who could project a voice into Brandon’s mind who isn’t in his vicinity? Perhaps someone with access to impressive technologies—someone with the means and motivation to spy on him. Someone from the FBI? That’s possible. If an agent had implanted a chip in his brain, that would explain the voice in his head. If the agent has been spying on Brandon for a while, that would explain why the voice seems to know so much about him. The brain is a master storyteller, designed to make sense of the chaos of our lives. It compensates for the presence of auditory hallucinations, caused by a defect in self-recognition, by writing a narrative to account for them. It’s no accident that schizophrenic patients reach for spy agencies, religious entities, or supernatural forces when describing the voices in their heads. These are theories that the brain concocts to explain how a foreign voice could infiltrate a mind, know it intimately, and torment its victim with relentless surveillance. Faced with such bewildering circumstances, the explanation the brain generates is surprisingly logical.